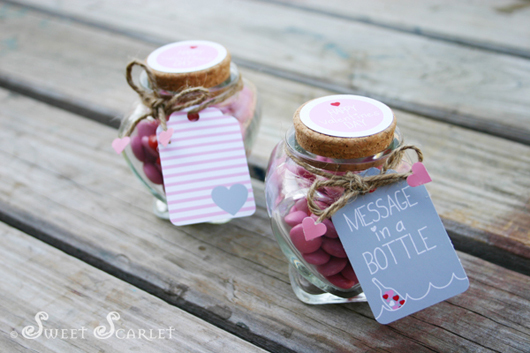 Introducing a new printable set from Sweet Scarlet Designs – "Message in a Bottle" Valentines Printable Set. 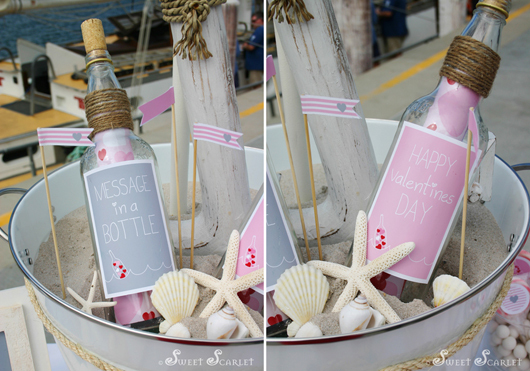 Wouldn't we all love to receive a romantic message in a bottle from some mysterious source? 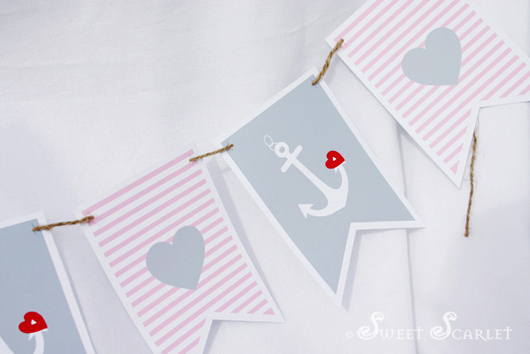 Whether the sender is anonymous or someone we know, how romantic to receive a beautiful love letter – floating atop the waves! 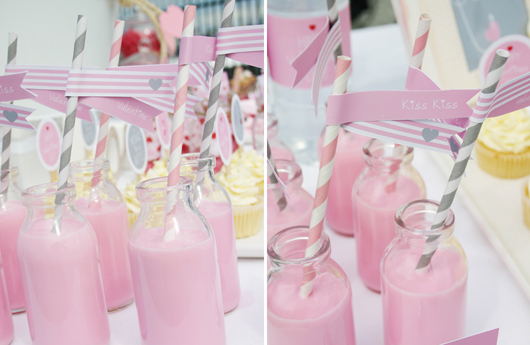 I'm pretty much in love with this set – can you tell! 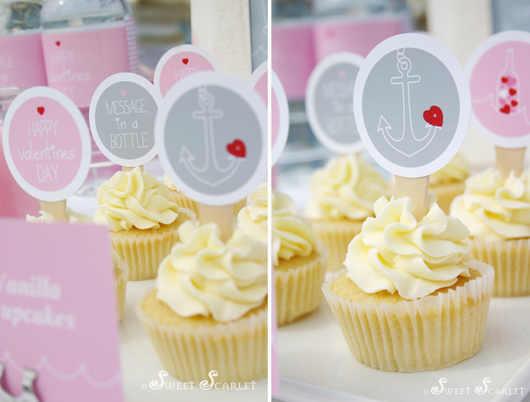 To style the dessert table for this set I used lots of nautical items mixed in with the Valentines theme – anchors (which I am in LOVE with right now! 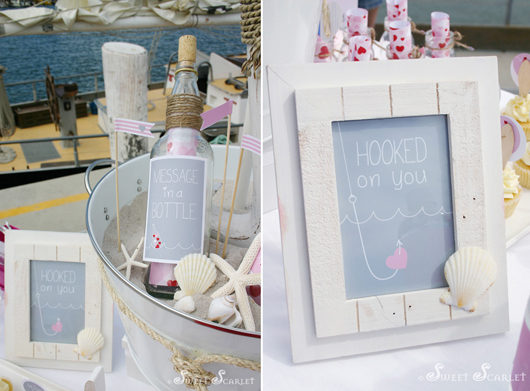 ), hooks, bottles, twine, sand, starfish and sea shells. 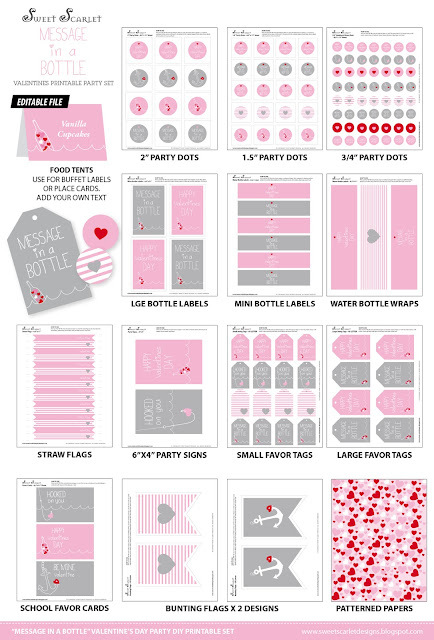 I love all these elements mixed with the white, pale pink, red and gray colors of the printable set. 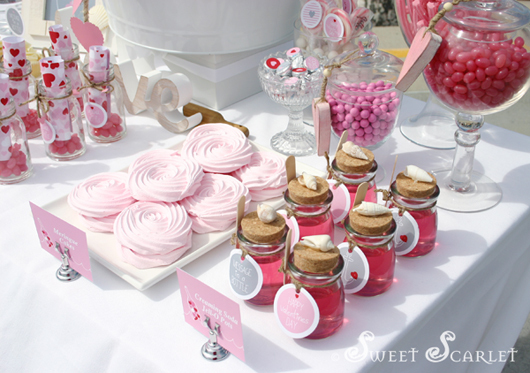 I kept the food for this table very simple and easy for any host to re-create including vanilla cupcakes, creaming soda jell-O pots, meringue cakes, strawberry milk, lollipops, Hershey's Kisses and assorted candy. 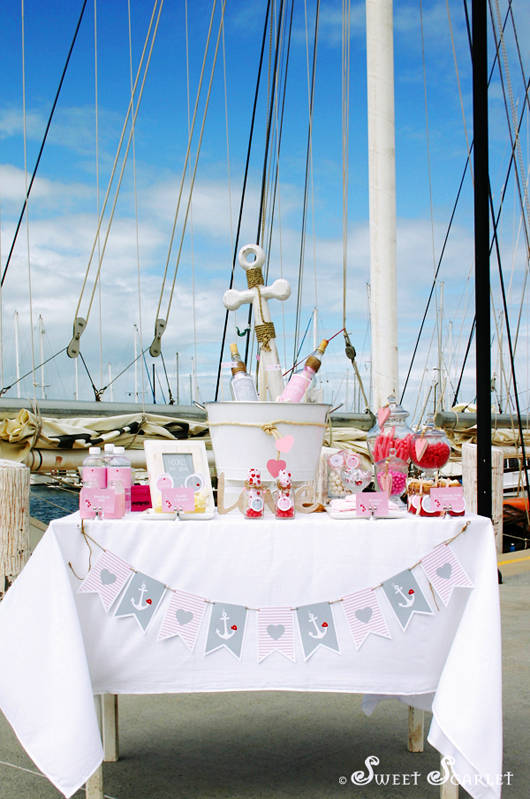 The location I chose to photograph the table is very much in keeping with the nautical theme at the William Gunn Jetty, Manly, Brisbane. 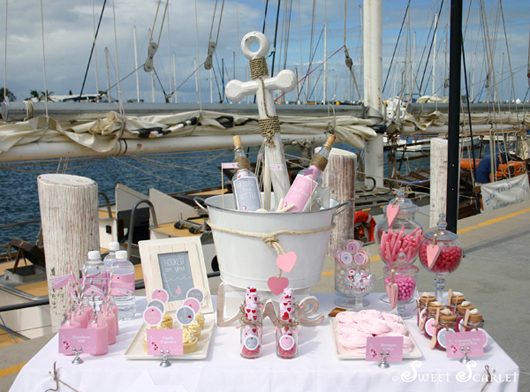 I was so lucky that this beautiful replica Schooner sailing boat was in dock and made THE perfect background for the table. 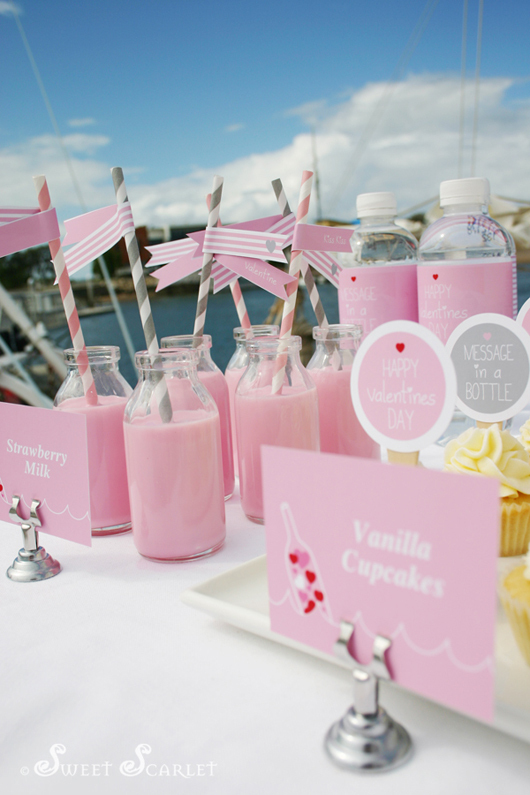 The set includes, 2", 1.5" and 3/4" party dots, bunting flags, large bottle labels, mini bottle wrap labels and water bottle labels. 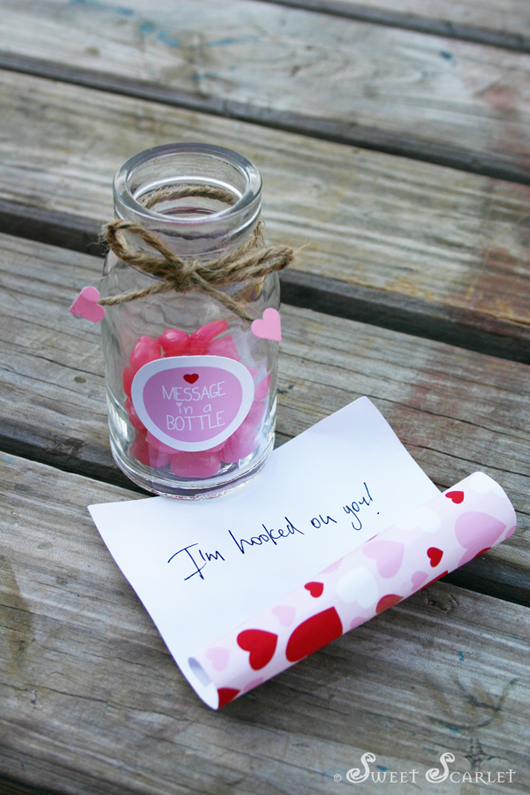 Also included are straw flags, 6"x4" party signs, editable food tents and patterned papers to write your love letters on! 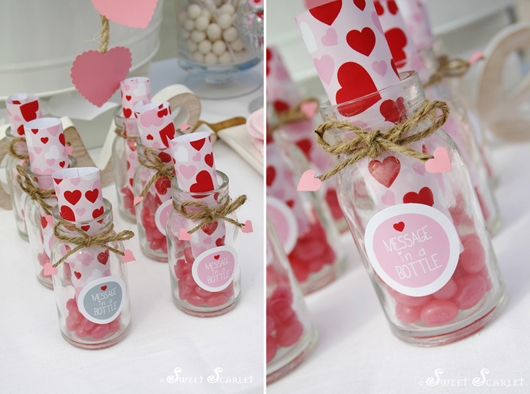 There are also heaps of Valentines favor ideas with Large and Small SwingTags and Favor Cards. 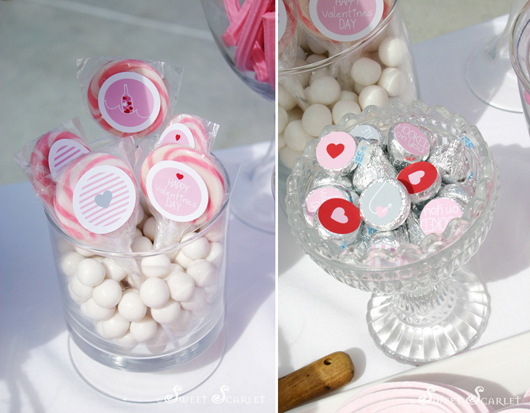 This printable set is available in my Etsy shop for just $10. Click here to purchase. 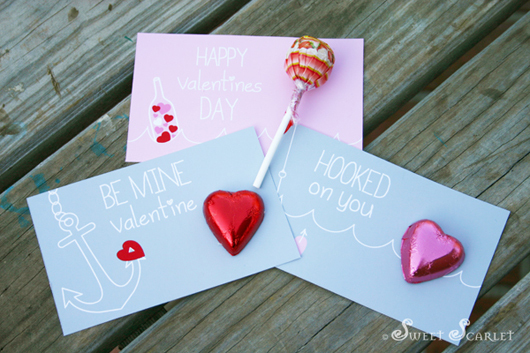 I really hope you like this printable design – and I wish you all love and happiness for your Valentines Day! 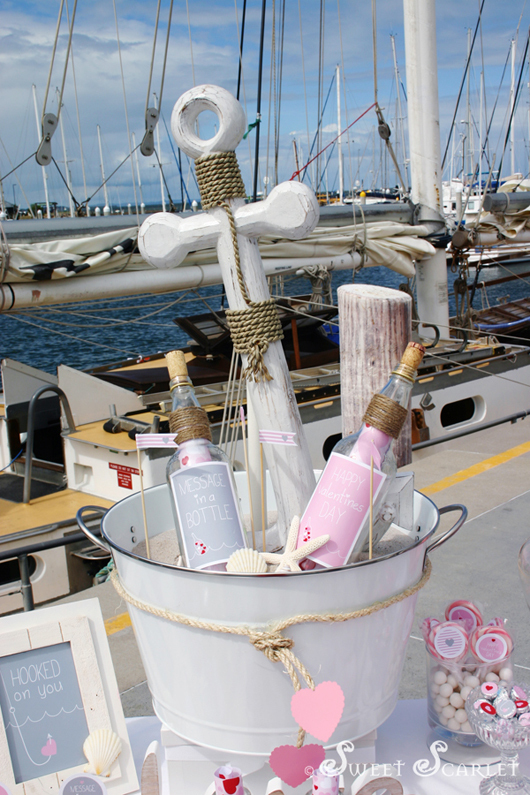 my decorated bottles (with patterned paper messages inside), a large anchor, seashells and sea stars. 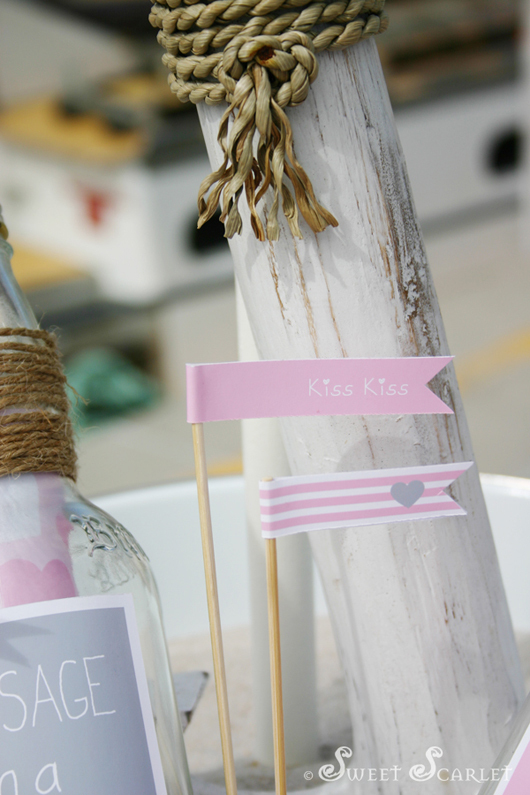 Straw flags added to long skewers added to the nautical look and feel. 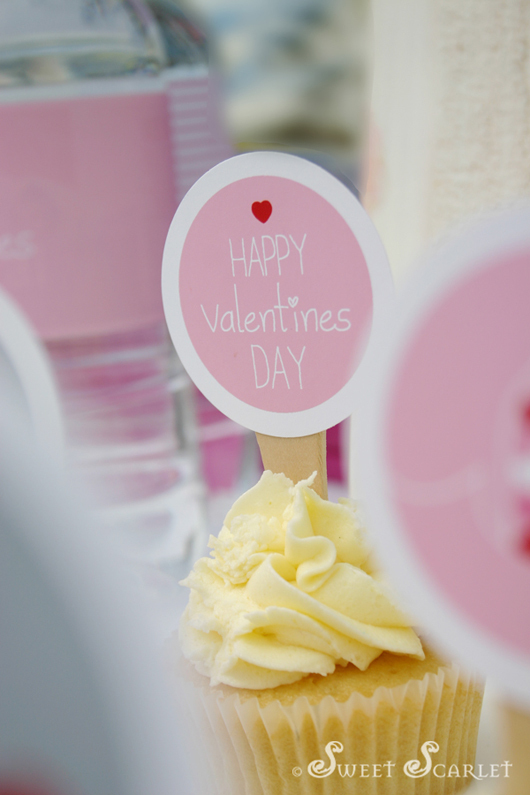 Favor Cards – great for the whole class at school. 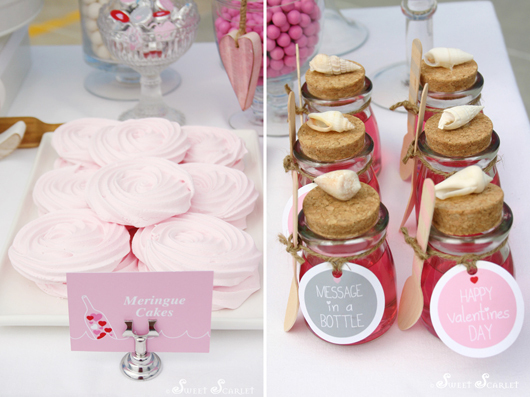 Just add candy and you are done. 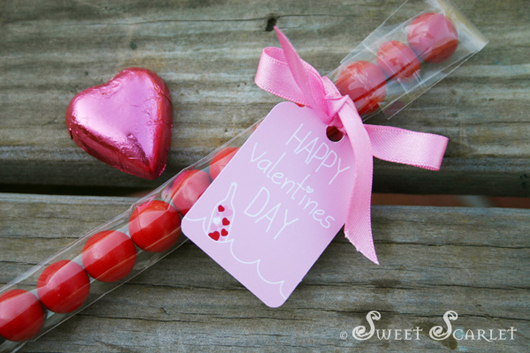 I thought these Musk Lifesaver candies would make a great Valentines class favor. 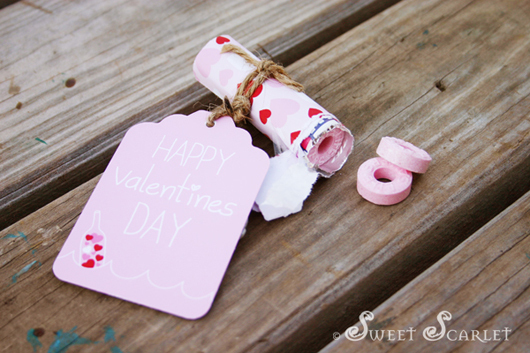 Simply cover the roll with Patterned Paper and add a Large Swing Tag. Hope you enjoyed this design as much as I do! What a gorgeous set you've created! 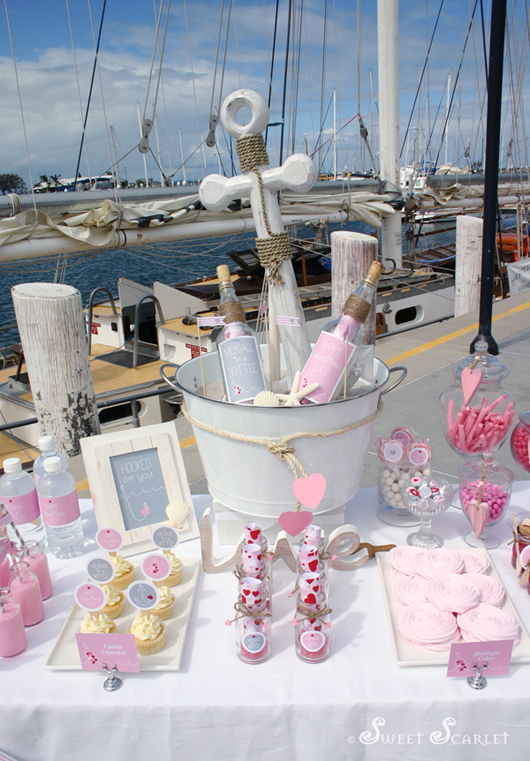 Love the location too....Manly is one of my favourite places in Brisbane.